We provide the best dental care possible using the latest technologies in a warm and caring environment. 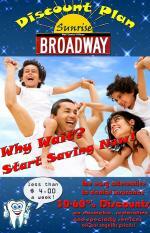 Save money, while receiving the dental care you and your entire family needs! In the interest of making dental treatment accessible to all patients, we offer a wide variety of payment options including Cash, American Express, Mastercard, Discover, and Visa.